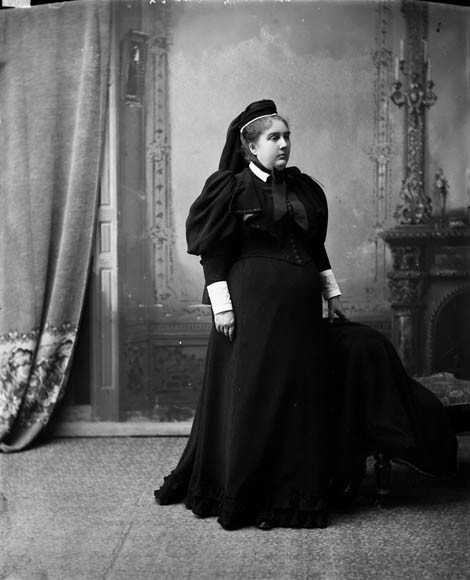 In 1885, Thompson was courted by Sir John A. Macdonald to serve as his Minister of Justice. While reluctant, Thompson was persuaded and was elected to the riding of Antigonish. Thompson’s reputation garnered him the support of the Liberal-Conservative Party, and after Macdonald’s death in 1891 and Sir John Abbott’s resignation in November 1892, Thompson was designated as prime minister on December 5, 1892. 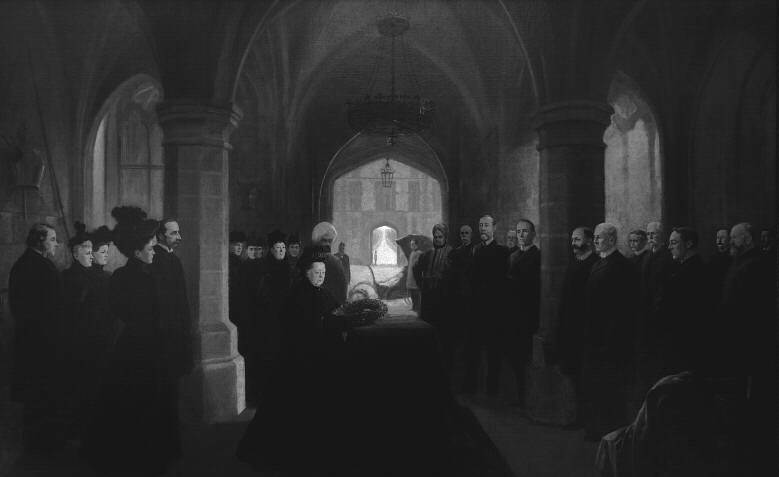 Thompson’s term as prime minister abruptly ended in Windsor Castle on December 12, 1894, when, after being sworn in to Queen Victoria’s Privy Council, he died of a heart attack. His body was repatriated by the Royal Navy ship, HMS Blenheim, which was painted black for the voyage, and he was laid to rest in January 1895 at the Holy Cross Cemetery in Halifax. Central to Thompson’s success in public life was the support he received from his wife, Annie Affleck. Their courtship began while Thompson was still a young lawyer, and there is indication that their romance was strong from the beginning with Thompson visiting her five or six nights a week from July 1867 onwards. Their relationship, however, was not embraced by Affleck’s family. While Thompson would eventually convert to Catholicism after his marriage to Annie in July 1870, he was born a Methodist and this was not accepted by Annie’s family. To work around their disapproval, the young couple voraciously wrote to one another, and even used shorthand to communicate their thoughts and feelings in private. Thompson’s close relationship with Annie has been linked to Thompson’s progressive mindset regarding the role of women in society. Speculation exists that, had Thompson not died only two years into his term, women’s suffrage would have arrived much earlier to Canada. This entry was posted in Politics and Government and tagged government records, Prime Minister, Sir John Thompson by Library and Archives Canada Blog. Bookmark the permalink. Thanks! This was super helpful for me!! !